 The American Zionist Movement (AZM) has released a new educational guide as part of its ongoing campaign to advocate for the return of captured Israeli soldiers to their families, friends and country. AZM launched the campaign in the 1980’s, shortly after the capture of Yehuda Katz, Zachary Baumel and Zvi Feldman by terrorist organizations in Lebanon, and its efforts only intensified in the wake of the abduction of Gilad Shalit, Ehud Goldwasser and Eldad Regev this past summer. “The mission of our campaign is not only to draw as much attention as possible to the dire and unacceptable status of these soldiers, but also through doing so to compel as many people as possible to take action and work for their release,” said Karen Rubinstein, AZM’s Executive Director. In the spirit of this mission, AZM’s new educational guide brings the Jewish and moral issues associated with the abduction of Israeli soldiers to the level of middle-school children. A resource for educators at youth movements and religious schools, the guide features information about the soldiers, activities such as role-playing and mock interviews, and questions for discussion. 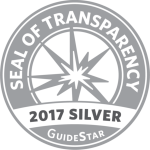 The guide focuses on the empowerment of information to encourage discussion and ultimately action on the part of this vital population sector. “Our future lies with our children, and it is therefore crucial that they be informed of current events as well as engaged in their social responsibility to take action to ameliorate the injustices of the world,” said Deborah Fishman, author of the guide and AZM Program Associate. Other components of the AZM campaign include the distribution of pre-written and pre-addressed postcards petitioning officials at the U.S. Department of State, International Red Cross and United Nations to secure the immediate release of the Israeli soldiers as well as the sale of dog tags engraved with the soldiers’ names which show solidarity with and help raise awareness of the plight of these young men. “It is imperative that we never forget these brave young men captured while in the service of their country and never rest until they are out of the hands of terrorists and safely home,” said W. James Schiller, AZM President. The guide and other campaign materials can be viewed and ordered here. For more information or to order the guide and other advocacy tools, please call AZM at 212-318-6100.